FLAT HEROES for PC is a digital code with no expiry date. Once bought, this downloadable code will be delivered directly to your email address with no shipping cost. Pay Attention! This is a digital product. The code will be sent by email. We at livecards.co.uk sell some of the gaming industry’s cheapest FLAT HEROES for PC codes. Our cheap prices are a direct result of us purchasing our digital codes in bulk at a discounted price, which we in turn pass onto ‘you’, our customer. Our codes are 100% legit as they are sourced from official licensed suppliers. Our 24/7 Live Chat support are always at your beck and call in case you have any questions about our FLAT HEROES for PC codes. Our purchase system is easy to follow and contains no annoying surveys or forms for you to fill out. It merely requires a valid email address and payment method, thus making buying digital codes from livecards.co.uk quick and easy. Storage: 10 GB available hard drive space. Input: Keyboard and mouse required. How to buy Flat Heroes PC? 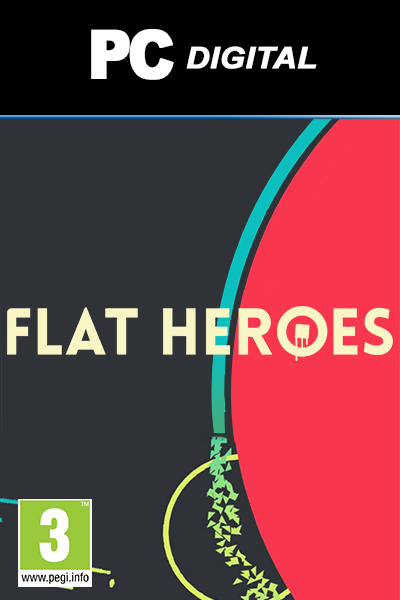 Livecards.co.uk makes buying Flat Heroes for PC as easy as pie! All you need to do is fill in your email address, pick a payment method, complete the payment and voila! The code is yours. We have some of the country’s cheapest digital codes. Our digital codes are 100% authentic as they are sourced from official suppliers. Round-the-clock customer support in case you encounter problems or have any questions regarding our products. We email you your codes instantly upon purchase. Pre-Ordered products will be delivered on or before the release date mentioned on the product page, while in-stock items will be delivered immediately after passing the necessary security checks. You are buying a digital product only! Purchases deemed to be for commercial use will be denied. For more information please take a look at our FAQs. If you have any trouble making a purchase, please get in touch using our Contact Us Form. Stay up to date with the latest gaming news and discounts.You don't wanna miss these!